Directions: Take the children outside to collect sticks. After each child has collected their stick, go inside to create a worm on a stick with the provided art supplies. Directions: Print off the letter W on brown construction paper. 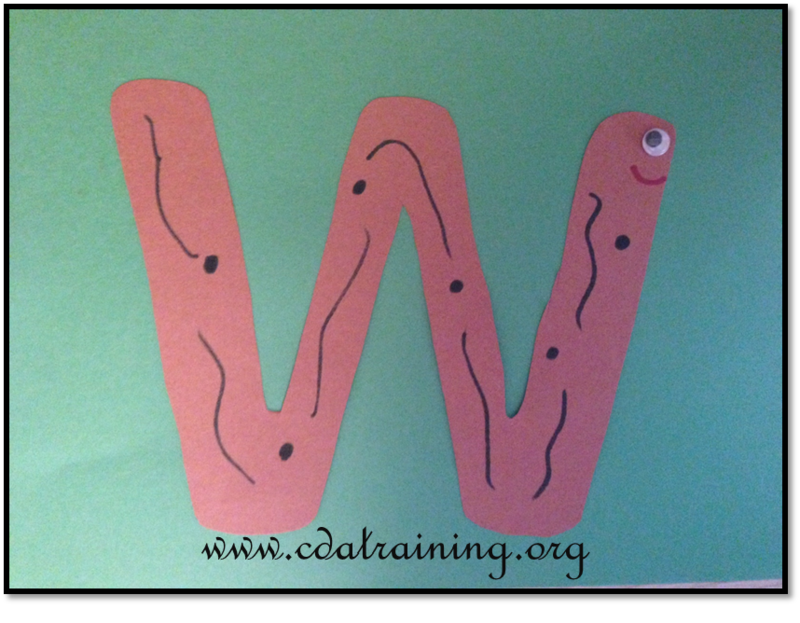 Have the children cut the W's out and decorate them to look like Worms. 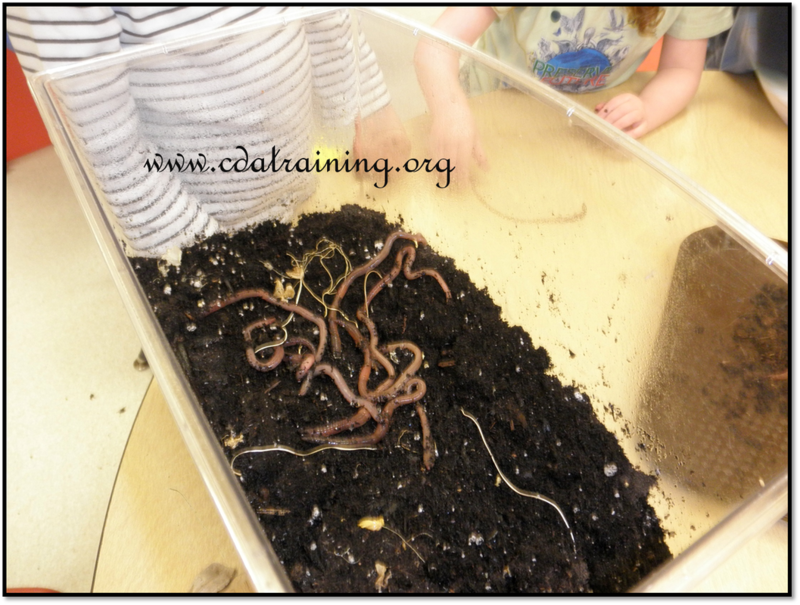 Put dirt and worms in a big Tupperware or on a tray. 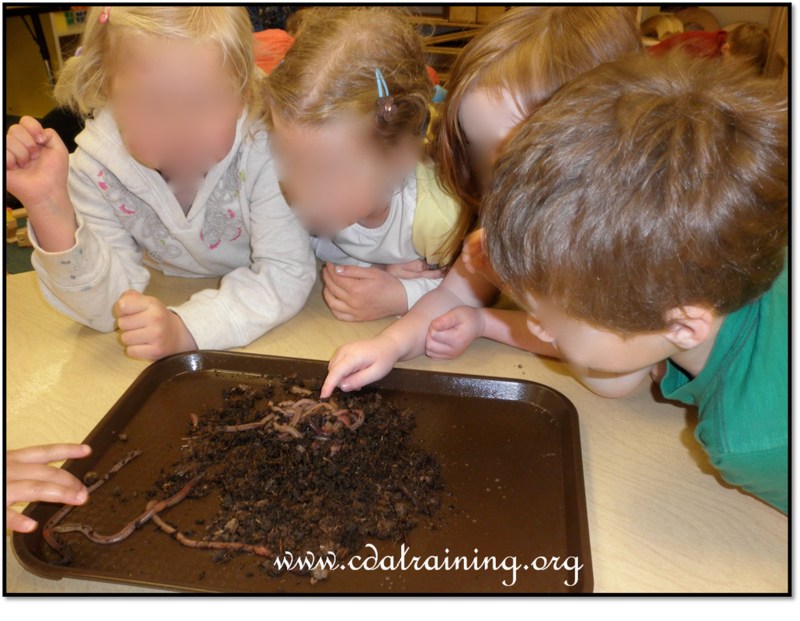 Allow children to explore in the dirt, finding the worms. 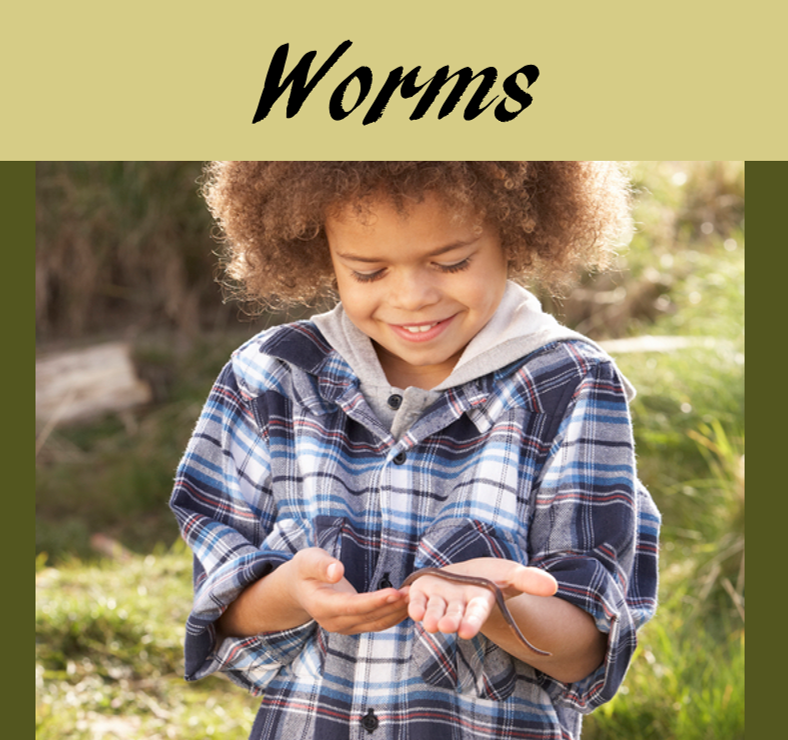 Ask the children questions such as "What do the worms feel like?" or "What do the worms smell like? ".